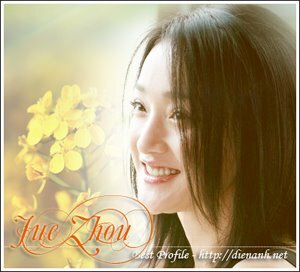 Zhou Xun: Zhou Xun - The New Movie Queen ! Winners of the 25th Hong Kong Film Awards have been announced in Hong Kong. This is a night of Johnnie To's Election vs. Peter Chan's Perhaps Love. Gangster drama Election collects four heavy-weight awards - Best Film, Best Director for Johnnie To, Best Actor for Leung Kar-Fai and Best Screenplay. Meanwhile Perhaps Love wins in six categories, more than any other movie does. Mainland Chinese actress Zhou Xun is named the Best Actress for her role in Perhaps Love, a big screen musical. Anthony Wong is selected as the Best Supporting Actor for portraying a tofu store owner in Initial D and Veteran player Teresa Mo is presented with the title of Best Supporting Actress for her performance in 2 Young.